Photography is not only about taking the photographs. It is about making the photographs. While the purists believe in making good photographs with their cameras, the professional photographers are experts at photo editors, manipulating & retouching tools and follow marketing strategies to make the most from photography. Here’s a collection of free and useful tools for photographers, ranging from simple photo editors, organizers and showcase galleries to advanced marketing tools. GIMP: GIMP is an acronym for GNU Image Manipulation Program. It is open source and free image editor released under GPL license. It enables you to retouch the photographs and provide features for eliminating or correcting len’s barrel distortion and vignetting effects. It supports all the platforms (Windows, Mac, Linux) and file formats ranging from commonly used file-formats (JPEG, PNG, TIFF, PSD) to special use formats like .ico used for creating icons. 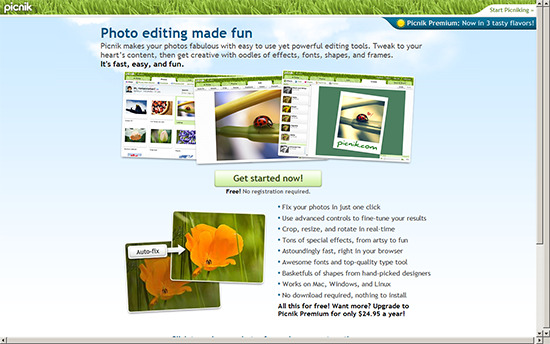 Picnik: Picnik is an online photo-editor powered by Google. Picnik has a collaboration and integration with Picasa, Flickr, Facebook and Photobucket; so that you can directly pick the photos from these websites and simply start giving the finishing touch to your photographs. Picnik offers simple and easy way to make the photographs presentable by providing features for adding special effects, using advanced controls and fixing the photos with just one-click. Pixlr: Pixlr is one of the most popular and advanced online photo editor. It offers various services for varying level of photographers. While beginners can opt Pixlr Express to make perfect pictures in a single click, the professional photographers can fine-tune the photographs by taking the control of Pixlr Editor like a pro. Splash Up: Splash Up is an online photo-editing plus photo-managing tool. It enables you to edit multiple images at a time. It has all the bells & whistles of the professional photo-editor and simplifies photo-editing for a beginner, both at the same time. Its compatibility with majority of browsers and integration with social-sharing sites, make it one of the most outstanding online tool for photographers. Pixelmator: Pixelmator is a photo-editing download utility for Mac users. It fulfills all the requirements of a basic photo-editor and provides some creative tools to further enhance the photographs. Its set of creative tools provide a collection of brushes, powerful color correcting tools, gradient tools, etc. It supports over 100 file types and allows you to easily import & export the files. Also, its integration with Aperture and social media sites make this tool suitable for online sharing as well. Flickr: Flickr is the best solution for uploading, organizing, sharing and editing the images online. 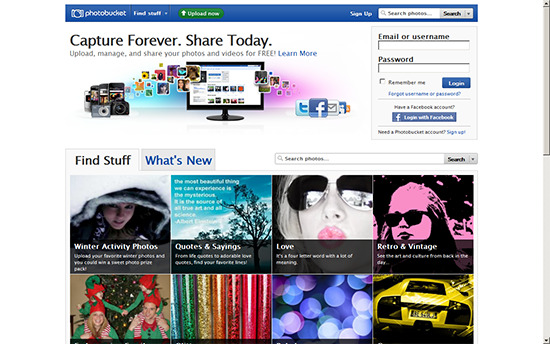 Flickr provides the platform for showcasing the works of amateur and professional photographers. 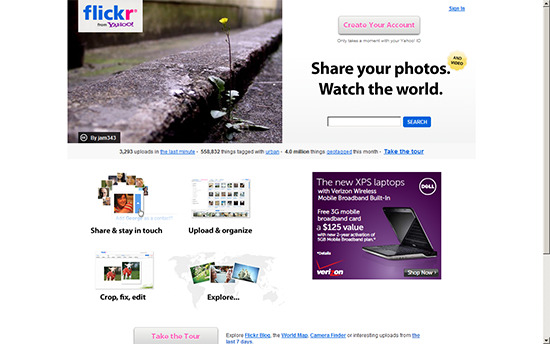 Flickr organizes the images into various photostreams and group pools. Flickr also provides the copyright solution to the photographers by providing them the feature of licensing their photographs either under Creative Commons License (with various clause and specifications) or as copyright material. Picasa: Picasa is Google’s initiative to provide a basic photo sharing tool with ease of creating web albums and sharing them over the internet. Picasa also features a very basic and hassles free photo-editor but instantly make subtle changes to the photographs. It also provides the facility of creating photo collage and photo movie. Picasa can be effectively used by the photographers to organize the photos and share the required albums with their clients. Photoshop.com: Photoshop.com is an online product from Adobe. Photoshop.com is a multi-purpose tool; it enables you to easily edit the images with the help of highly efficient online tools (Photoshop Express Editor & Photoshop Express Style Match) and provides an organizer for keeping all your photos at a safe place for online sharing. SmugMug: SmugMug is a multi-purpose photo sharing tool. It allows you to take benefit of online storage, social sharing and ordering the prints. Apart from these services, SmugMug provides you the platform for selling the images. Shutterfly: Shutterfly is one of the renowned name for online photo storage. While it provides other services which are offered as premium services, its online storage and sharing services are free of cost. Photobucket: Photobucket is an image hosting and sharing site designed for photographers to simplify the process of organizing and keeping the images safe & readily available online. It is multi-feature site. Apart from the basic feature of hosting the photos, it also makes sharing easier. It enables you to share the photographs over social networking sites and enables the photographers to benefit from social media marketing. It also provides a feature-rich editor, slideshow application and flexibility of access through mobile apps. ImageShack: ImageShack is a media hosting site which offers multiple tools for hosting the images. Sign up for free and start uploading the images from anywhere; from the browser (through Image Shack toolbar and sidebar) and from mobile phone (through various apps for iPhone, Android and Blackberry). It supports all the platforms (Windows, Mac, Linux) and also provides a Bulk Uploader for uploading multiple images. TinyPic: TinyPic is yet another option for image hosting websites. It is Photobucket’s initiative to provide a registration-free uploading service. TinyPic enables you to easily upload, link, and share your images and videos on MySpace, eBay, Orkut Scrapbooks, blogs, and message boards. PicsEngine: An artist gets recognition by showcasing his piece of arts. Online marketing is one such tool which enables the professional photographers to showcase their work to the clients and general audience. PicsEngine is one of the best ways of doing this. It enables you to showcase the photo galleries; which acts as the photographer’s portfolio. 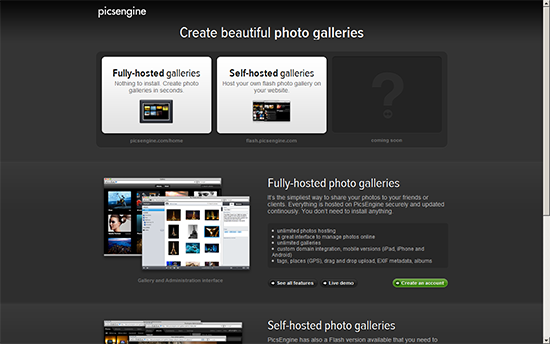 You can either create an account with Picsengine to create fully-host galleries without installing anything or you can download its flash version to create self-hosted photo galleries. iStockPhoto: iStockPhoto makes it easy for photographers to sell their photographs to advertisers, web designers, entrepreneurs and bloggers. It is an online exhibition plus sale platform; where the photographers offer their best works (the photographs) for sale at proces which anyone can afford. Getting started with iStockPhoto is fairly simple and three steps away; register for free, become a contributor and provide 3 sample photographs. If your photographs are approved by the moderators, you can upload multiple photographs and offer them for sale. Wix.com: Wix gets you involved in becoming a website creator along with the photographer. Wix is a free website editor which allows you to create your own photography portfolio website free of cost. You need to simply choose a template for creating a website, click edit to drag & drop the items and get started by uploading your photographs for managing online portfolio for yourself. Watermark.ws: Watermarking is one of the best (and cost-free) solution for establishing copyright for your photographs when published over internet. Watermark.ws is an online tool for watermarking the photographs to thus prevent misuse of the photographs. Just upload the images you want to watermark, customize the watermark style (by specifying the type, color and position) and batch process the images to get instant results. It supports various file formats (jpg, png, tiff, gif, bmp) used for web and devices and poses no limits on number of uploads. Watermark Tool:The other option for protecting your images through watermarking is to use the Watermark Tool. This tool enables you to personalize the images by watermarking the images with selected text, color and position. It allows you to upload upto 10 images at a time, file size not exceeding 200 KB per image. ImageMagick: ImageMagick is basically an image editor designed to work on multiple platforms. It is a software suite to create, edit, compose, or convert bitmap images. ImageMagick is free, open source and command line (supporting a variety of file types) utility for editing the images. PhotoMe: PhotoMe is a powerful tool which helps the photographers to edit the meta data of the image files. This free tool enables you to analyze and modify the exif-data, IPTC data and the ICC(International Color Consortium) profile of the image. Its IPTC tagging feature comes in handy for embedding relevant keywords and copyright information in the image file itself, which is used by stock agencies to record the image information. 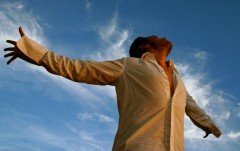 Great article and nice list. It appears that you list off one of my favorites though: Irfanview. It’s wonderful for making images lower resolution, so that they are easier to email or add to your websites.